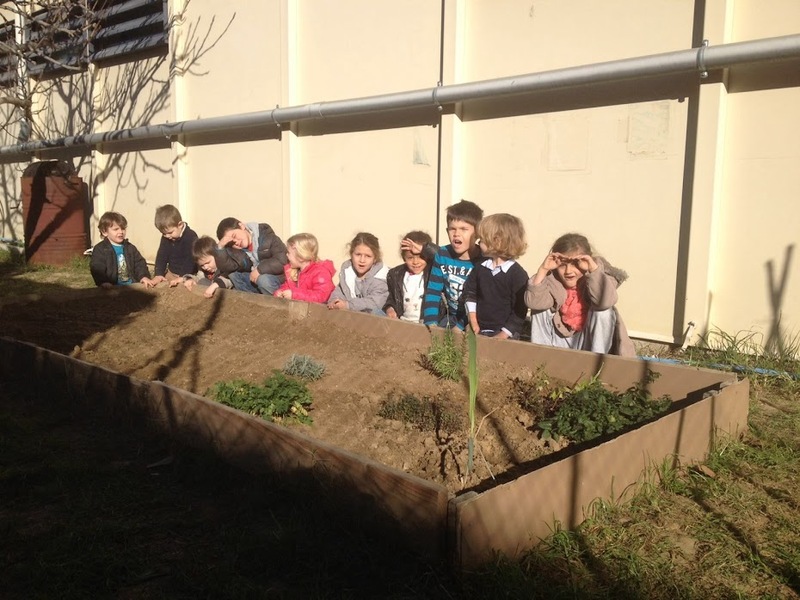 EL NOSTRE HORT: HEM TASTAT LES ESCAROLES I N'HEM PLANTAT DE NOVES! HEM TASTAT LES ESCAROLES I N'HEM PLANTAT DE NOVES! AVUI HEM OBSERVAT QUÈ HI HAVIA PLANTAT A L'HORT. HEM VIST QUE ELS ESPINACS I LES CARROTES HAVIEN NASCUT. HEM TASTAT LES ESCAROLES. EREN AMARGUES I TENIEN UN GUST INTENS. TAMBÉ HEM VIST QUE ELS RAVES HAVIEN CRESCUT. HEM ACABAT DE NETEJAR L'HORT I HEM GITAT LES FULLES SEQUES AL COMPOSTADOR. TREBALLEM LA TERRA PER PODER PLANTAR! LA CHLOÉ I L'ESTEBAN PLANTEN LES ESCAROLES!! !